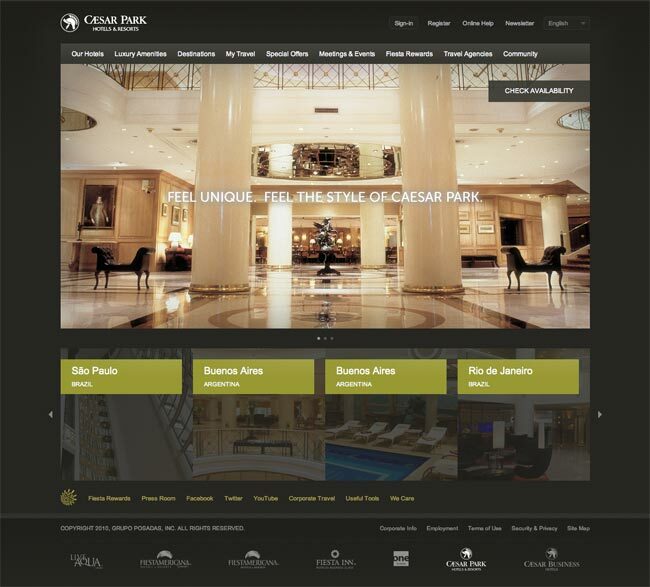 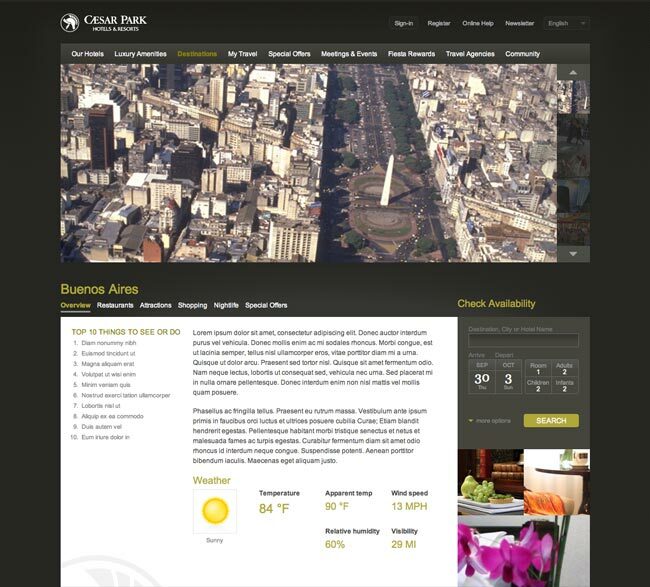 Grupo Posadas, a hotel chain in Mexico, engaged Whiteboard Labs to redesign the web sites and booking engines for their brands. 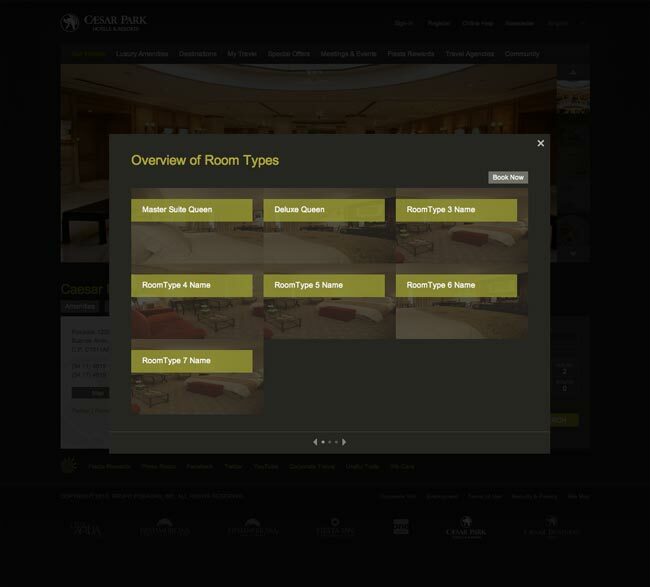 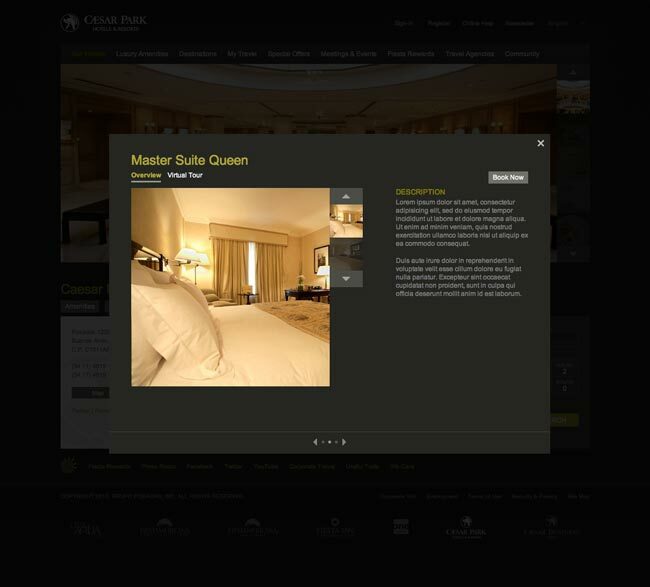 For each brand, we delivered html templates for sample pages within that site and its reservation pages. 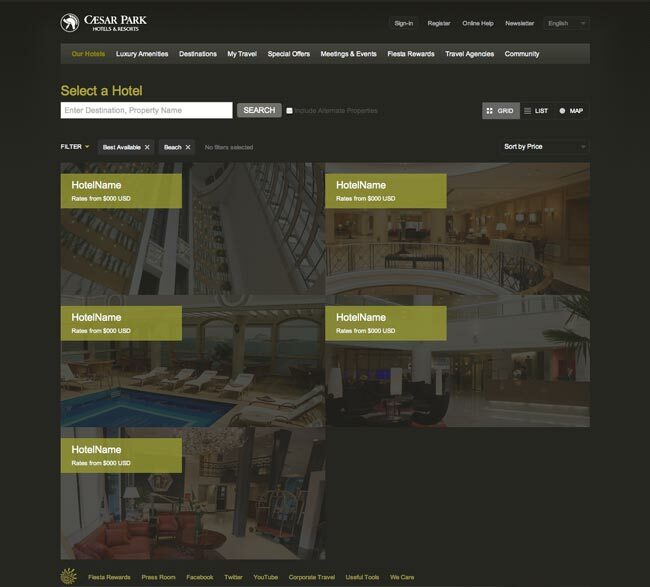 Part of the goal for the project was to make a core of user interactions, styles and html modules that could form the base of the code for each brand. 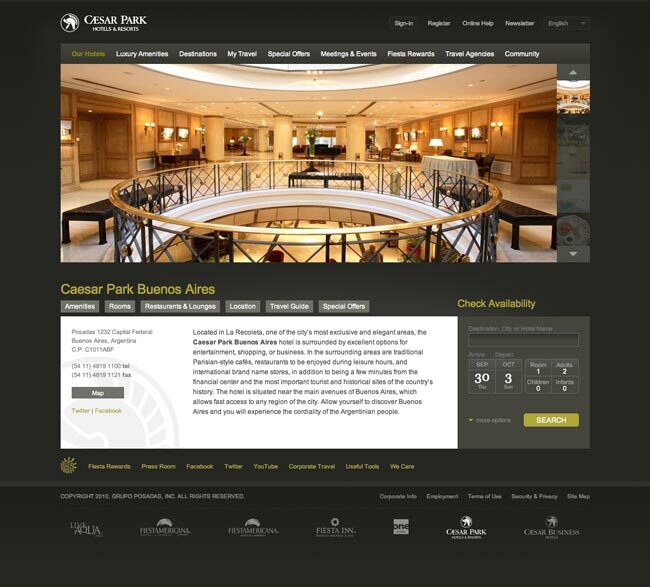 One of the brands that I built out was Caesar Park, a chain with locations in cities such as Buenos Aires and Saõ Paolo.